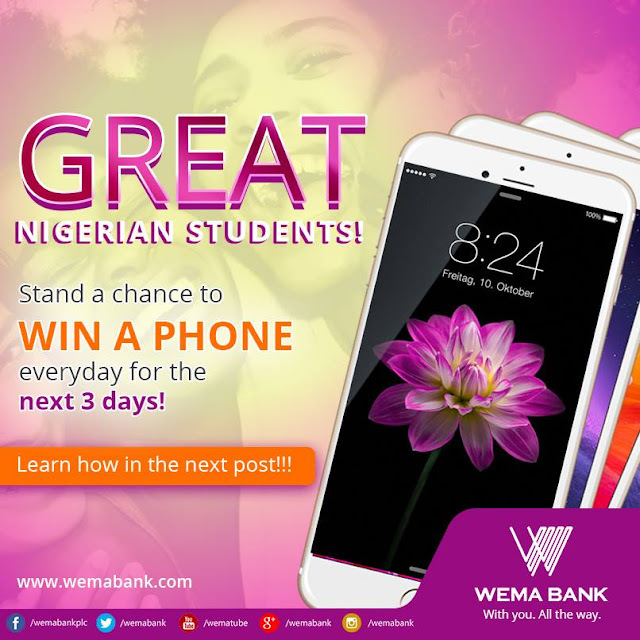 Are you a Nigerian student and around the University of Lagos vicinity? If yes, we have good news for you. 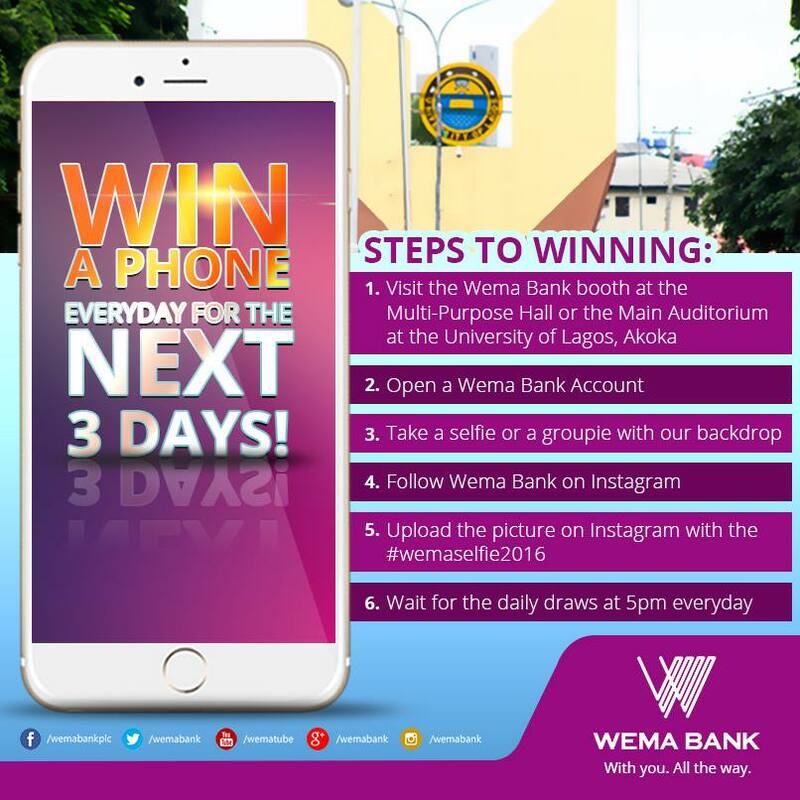 Wema Bank is giving out 3 phones in the next 3 days to 3 lucky people who visit the Wema Bank stand at the Unilag Orientation Week Program! 1. Visit the Wema Bank Booth at the Multi-Purpose Hall or the Main Auditorium at the University of Lagos, Akoka. 6. Wait for the daily draws at 5pm everyday.